Apple clearly has designs for Siri that go far beyond the intelligent assistant's current implementation. Siri forms a key component of CarPlay right now, but it could certainly go further. Apple also has a number of interesting concepts, such as a patent designed to let you ask "Siri, where's my car?" when you're lost in a parking lot — at which point, your dedicated AI helper will guide you back to your car. Helpful, no? Today Honda announced that it is offering Siri Eyes Free integration with certain 2013-2014 Honda Accord and 2013 Acura vehicles. Honda said that it would be implementing Eyes Free as a dealer installed accessory back in January, and now customers can visit a dealership and have the technology installed. Originally revealed at WWDC in 2012, Siri Eyes Free was Apple’s answer to safety integrating iOS devices in the car. But car manufacturers were slow to implement the technology, and there still aren’t many vehicles out there that support it. Hyundai announced its plans to support Eyes Free back at CES in January, and multiple Chevy vehicles support it already. Eyes Free lets the user directly interact with their iPhone without having to ever look at the screen. Using only their voice, users can sending and receive messages, read incoming messages, add events to their calendar, set reminders and alarms, check the weather, use turn-by-turn navigation, and even check info like sport scores and stock quotes. At this year’s WWDC, Apple announced “iOS in the Car” with iOS 7, an evolved take on Eyes Free that can also integrate an iOS device with a car’s in-dash system. The feature is said to be “coming soon” from Apple, which means it is likely finalizing the details with car manufacturers like GM, Chrysler, Toyota, Audi, and BMW. 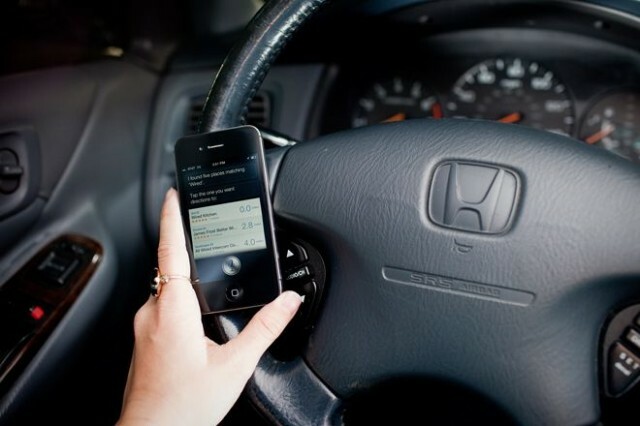 Honda is announcing “additional Siri Eyes Free functionality” during a Google Hangout on December 3rd. iOS in the Car? Probably.